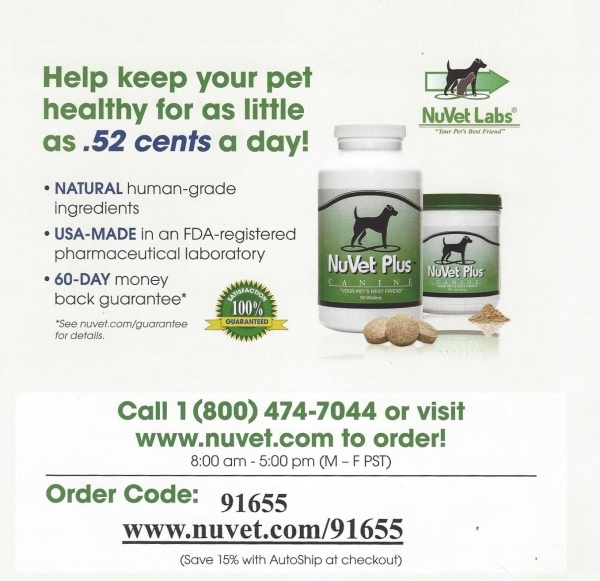 For puppies, NuVet vitamins fill in the gap. When puppies are nursing they receive antibodies from the mom, but when they are weaned and no longer nursing puppies immune systems experience a gap and their system is weakened by various items like stress of adoption and exposure to novel bacteria and viruses in their environment. Vaccaines are most effective if the immune system can respond properly. Starting NuVet Plus now is important to helping your puppy grow into a healthy adult. For dogs in their prime NuVet provides the necessary antioxidants, amino acids, vitamins and minerals to sustain peak performance during the prime of their lives. For older dogs keeping them on NuVet helps provide the nutritional needs to live long, happy and productive lives in their senior years. 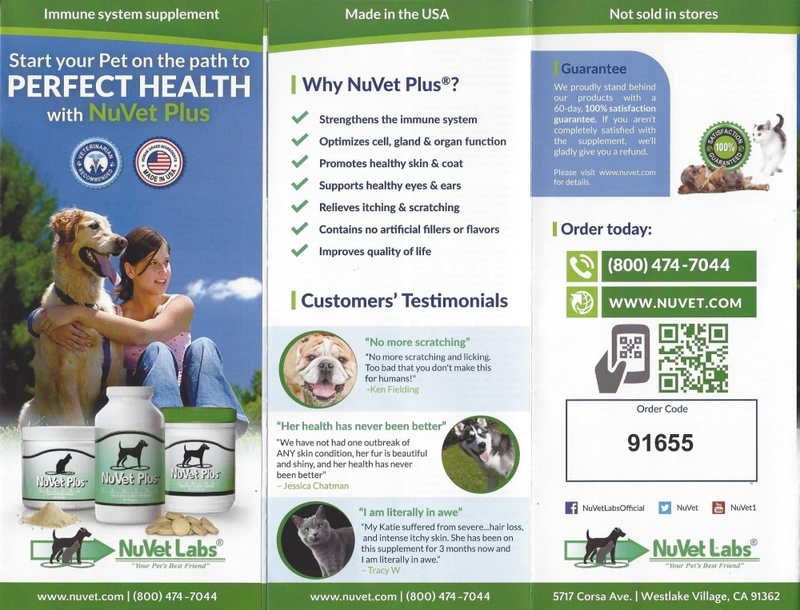 ​​NOTICE ... NuVet products are vitamins/supplements to enhance and support the health and well being of your Pet. They are NOT intended to replace Vaccines. Make sure your Pet gets their proper Rabies Shots and Vaccines as recommended by a Licensed Veterinarian. ​​Also check out NuJoint Plus and NuJoint DS (Double Strength) for a Holistic, natural supplement to provide maximum hip and joint support. ​Click HERE for NuJoint information.